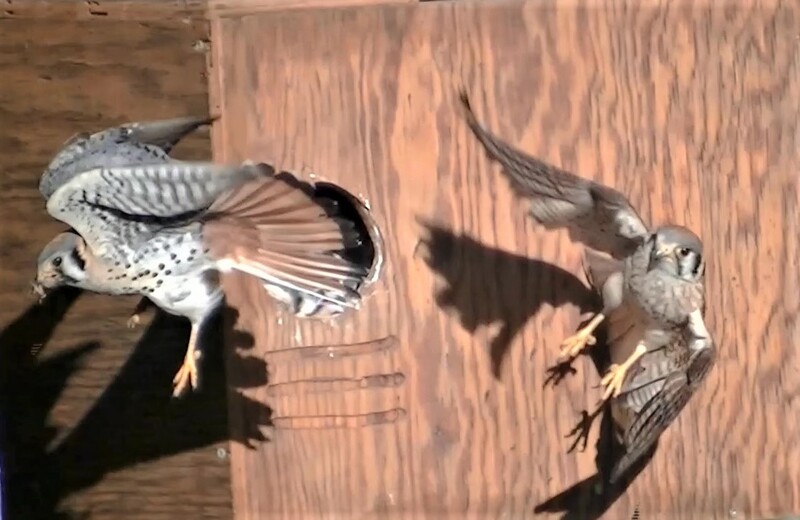 Video captures from my video camera used to monitor the nesting box in my backyard. Both adults showing up at the box at the same time. These are two seperate times on the same morning. 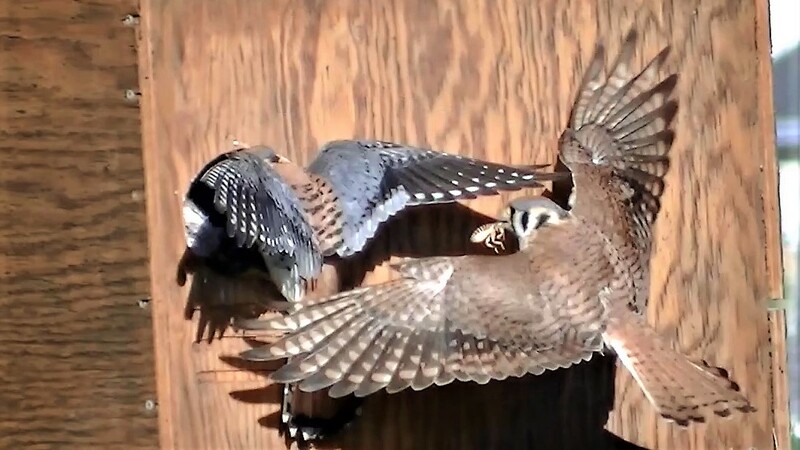 Posted in The Kestrel Collection: photos and art by Silva53 10 months 1 week ago.